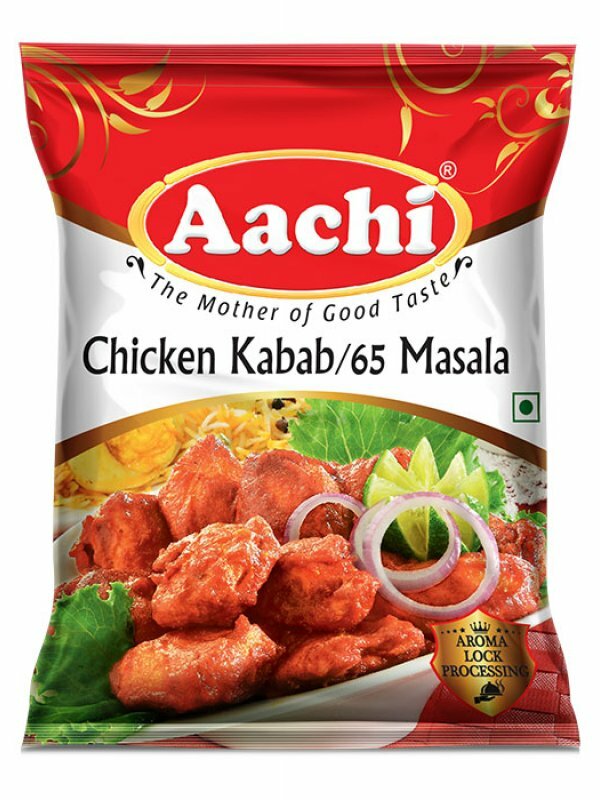 Mix 350g of chicken pieces in 25g Aachi Chilli Chicken Masala, ½ cup curd, ½ tsp vinegar and keep aside for an hour. No need to add salt. Deep fry chicken pieces in low flame. 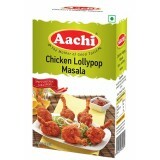 Now tasty Aachi Chilli Chicken is ready to serve hot. Chilli Gobi, Chilli Mushroom, Chilli Baby Corn may also be prepared. Chilli, Salt, Cinnamon, Cloves, Garlic, Ginger, Cardamom, Refined Groundnut oil.